Daksheswara Mahadev or Daksha Mahadev temple is a Hindu temple dedicated to Lord Shiva, located in the town of Kankhal, about 4 km from Haridwar in the Haridwar district of Uttarakhand, India. Named after King Daksha Prajapati, the father of Sati or Dakshayani, Lord Shiva 's first wife. Daksha is one of the fourteen Prajapatis, creator deities, presiding over procreation, and protector of life, in Hindu mythology. 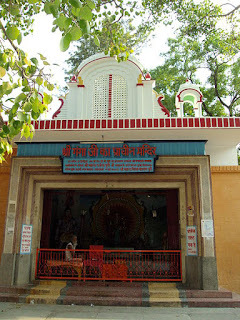 The present temple was built by Queen Dhankaur in 1810 AD and rebuilt in 1962, and is a place of pilgrimage for Shaivaite devotees on Maha Shivaratri. The mythological story as mentioned in the Mahabharata and other sacred texts of Hinduism, details the episode when King Daksha Prajapati, the father of Sati, Lord Shiva 's first wife, performed Yagna at this place, he did not invite his son-in-law Lord Shiva, thus Sati felt insulted. Nevertheless she arrived, when she found her husband being spurned by her father, she burnt herself in the yagya kunda itself. 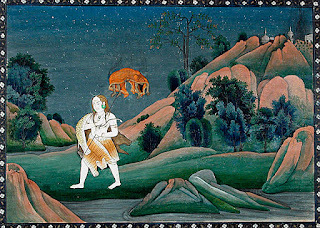 Shiva burned with anger, sent the terrible demi-god Vīrabhadra, Bhadrakali and also his ganas. Standing next to the main temple is the Das Mahavidya temple, dedicated to the Mahavidyas, a venue for devotees of Devi to congregate for special pujas, during the Navratri celebrations. 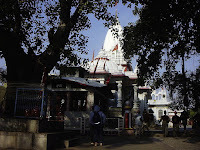 Also within the complex, there is a temple dedicated to Ganga. 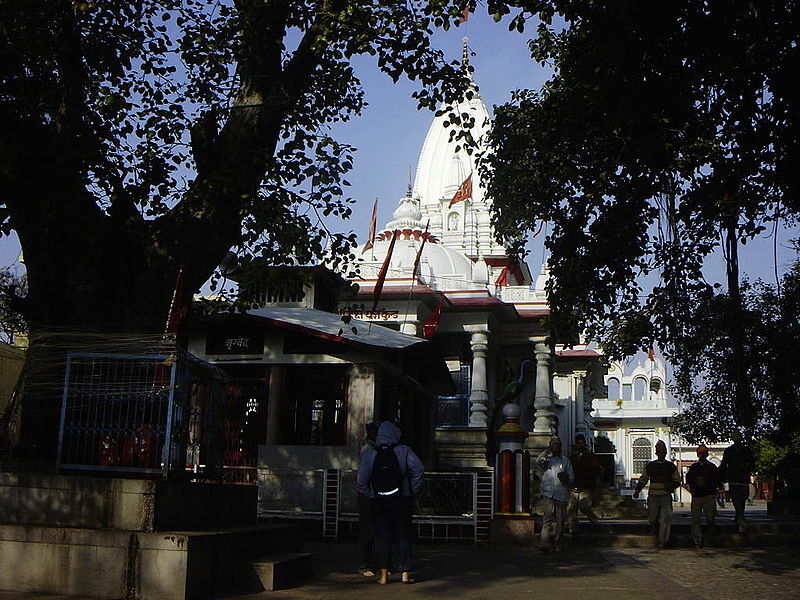 Next to the temple is the Daksha Ghat on the Ganges and close by is the Nileshwar Mahadev Temple.